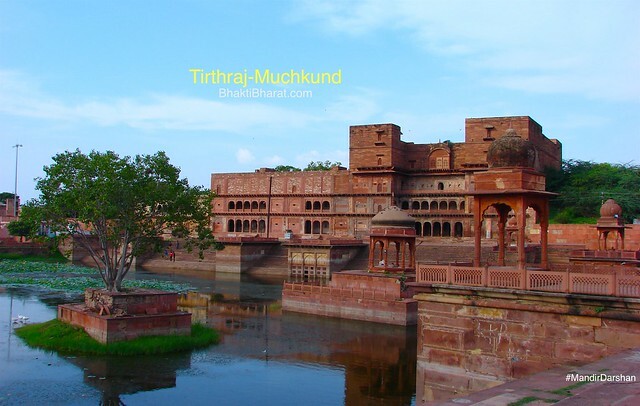 The nephew of all Teerth, तीर्थराज मुचुकुन्द (Tirthraj Muchkund) series of 108 temples surrounded around a large holy pond. 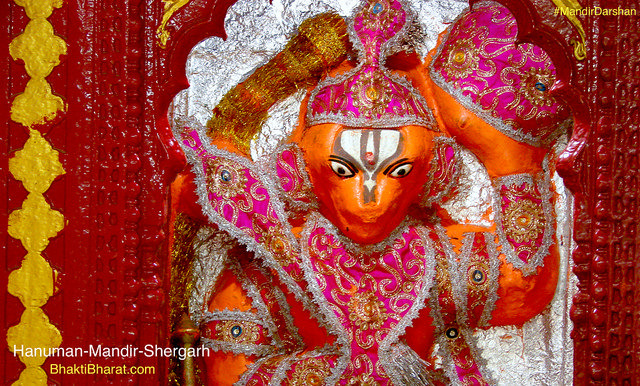 Due to name of 24th Suryavanshi Raja Muchukand, nineteen generations before Lord Shri Ram. 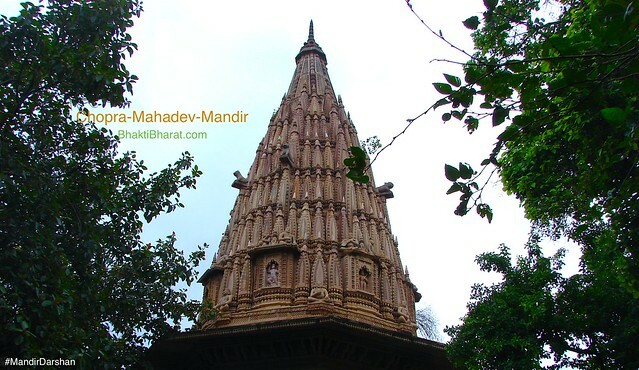 According to legend, Raja Muchchhkund was sleeping here when demon Kaal Yaman (while pursuing lord Krishna) accidentally woke him up. 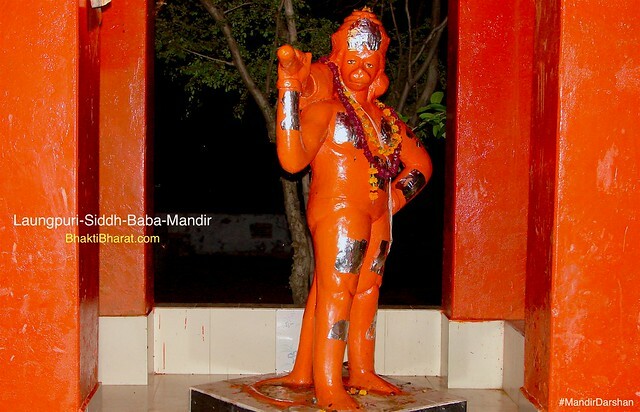 The demon Kaal Yaman was burnt to ashes because of a divine blessing to Raja Muchchhkund. It is now a sacred place for pilgrims. धौलपुर के जी.टी. रोड से तीन किलोमीटर दूर अरावली पर्वत श्रंखलाओं की गोद में स्थित है सुरम्य प्राकृतिक सरोवर मुचुकुण्द। इसे पूर्वाचल का पुष्कर कहा जाये तो कोई अतिष्योक्ति नहीं होगी। कुण्ड का सुरम्य स्वरूप व मन्दिरों का निर्माण 1856 में महाराजा भगवन्त सिंह जी के कार्यकाल की देन है। यह स्थल मान्धता के पुत्र महाराज मुचुकुण्द और भगवान कृष्ण के जहाँ आगतन की गवाही दे रहा है। इसका उल्लेख विष्णु पुराण के पंचम अंश के 23वें अध्याय में व श्रीमद् भागवत के दशम स्कंद के 51वें अध्याय में मिलता हैं। Read full history in Hindi. Series of 108 Ancient Temples. 1 KM Parikrama Marg Around The Holy Sarovar. Entire Tirth Parikrama on Every Amavasya. Kund Puja Arti on Every Purnima. Sher Shikar Gurudwara since 1612. While travelling towards Gwalior, with Emperor Jahangir, Guru Hargobind arrived at Machkund on 4 March, 1612 and stayed in Bhamtipura village. The head of that area informed Jahangir of a deadly lion stalking the local villagers and asked the Emperor to save them from the lion. Ae Kale Yaman Pehlan Toon War Kar Lae Kidre Tere Man Di Iccha Baaki Na Reh Jaye! Panchmukhi Shivling in Ladli Jagmohan Mandir Muchkund. Raja Muchkund start sleeping near to this holy place. Raja Muchkund organized a Yagya on this place. While travelling towards Gwalior, Guru Hargobind arrived at Machkund and stayed in Bhamtipura village.